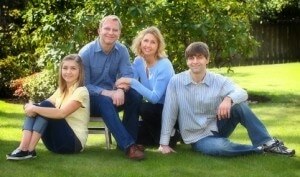 Paul and his wife, Suzanne, live in Oak Grove and they have two grown children. A Clackamas County citizen and community servant for the past 25 years, Paul earned his living as the owner of a small business, Savas Tuning Systems.With a history of overcoming engineering barriers, Paul is a natural problem solver. Much like with his business, Paul isn’t afraid to roll up his sleeves and get to work on community issues. As commissioner, he was successful in getting Phase 2 of the Sunrise Project and the Interstate 205 project added to the Regional Transportation Plan. The extent of Paul’s service makes him an effective agent of Clackamas County in the broader Tri-County region. Paul’s record of service and leadership has helped him understand the diverse perspectives and needs of Clackamas County citizens. Paul will continue to implement sound policy to meet our county’s biggest challenges and opportunities.